At the Name step of the wizard, specify a name and description for the scale-out backup repository. 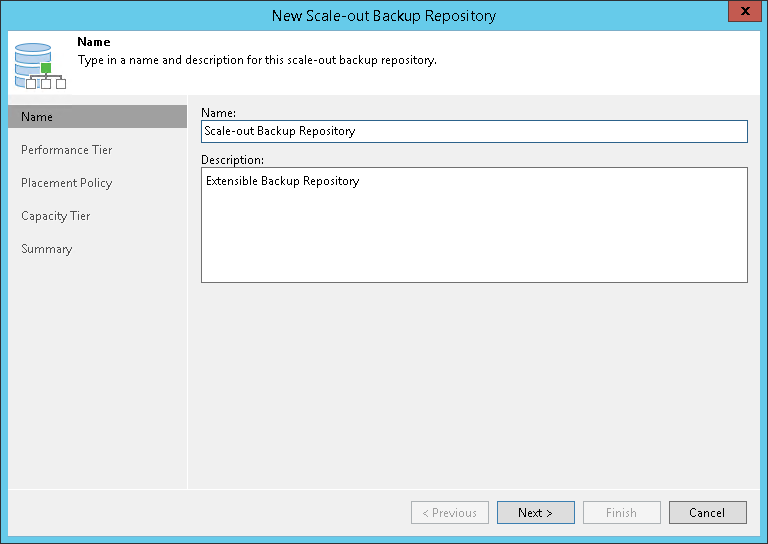 In the Name field, specify a name for the scale-out backup repository. In the Description field, provide a description for future reference. The default description contains information about the user who added the backup repository, date and time when the backup repository was added.